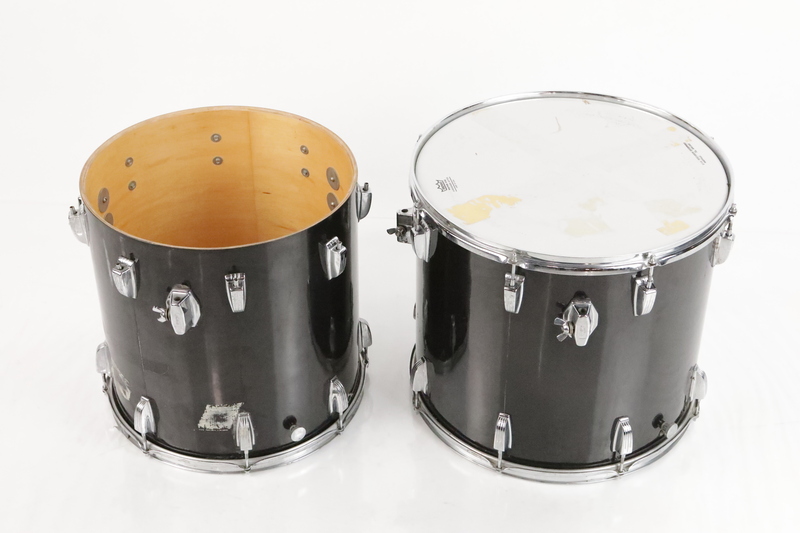 PRODUCT DESCRIPTION: This listing is for a 1979 Ludwig Black Cortex Drum Set. 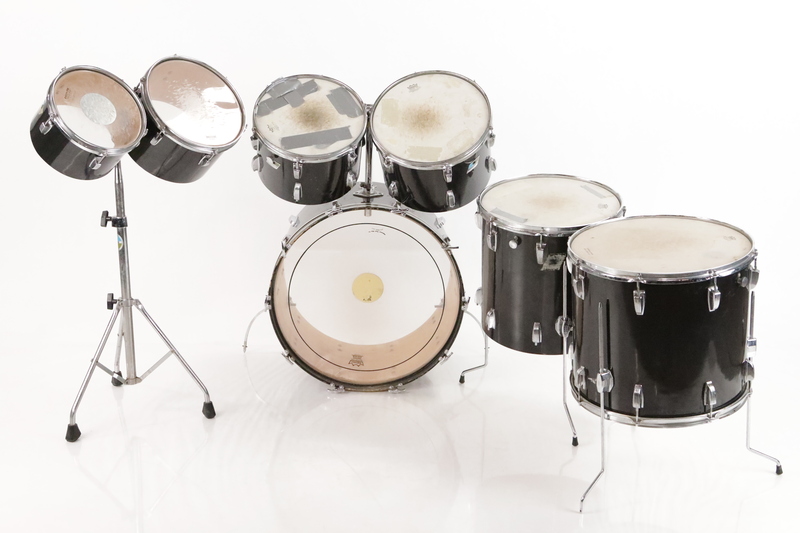 Believe it or not, this drum set was the house drum set at the late Leon Haywood's recording studio in South Los Angeles. A veritable who's who of funk and R&B and Blues players recorded at this studio. 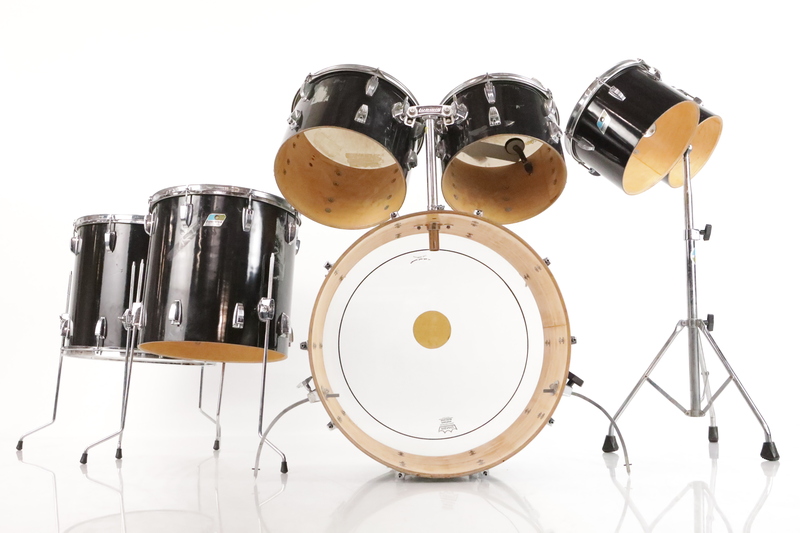 This kit has some serious history. None can be documented unfortunately, so we're not up-charging for it. It just makes a good side-note. We picked up this set personally from the studio just 6 months ago. 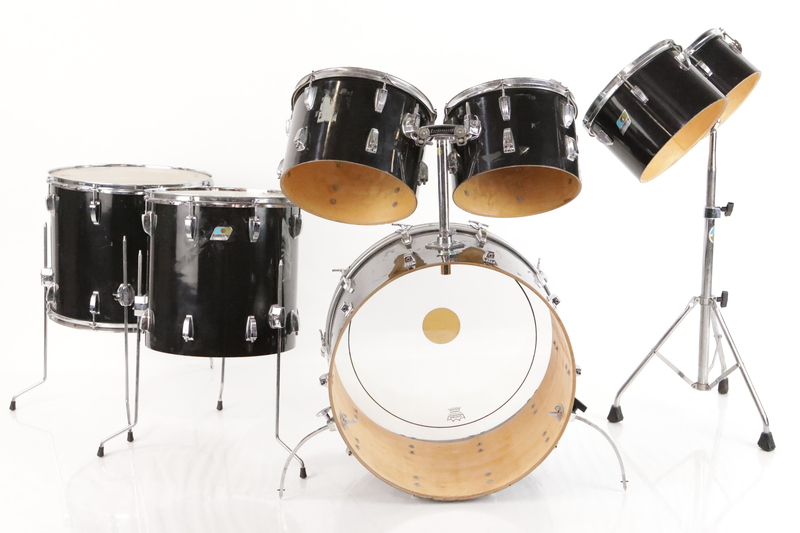 Tom 1: 10" x 6.5"
Tom 3: 13" x 9"
Tom 4: 14" x 10"
No cymbals, throne or snare is included. 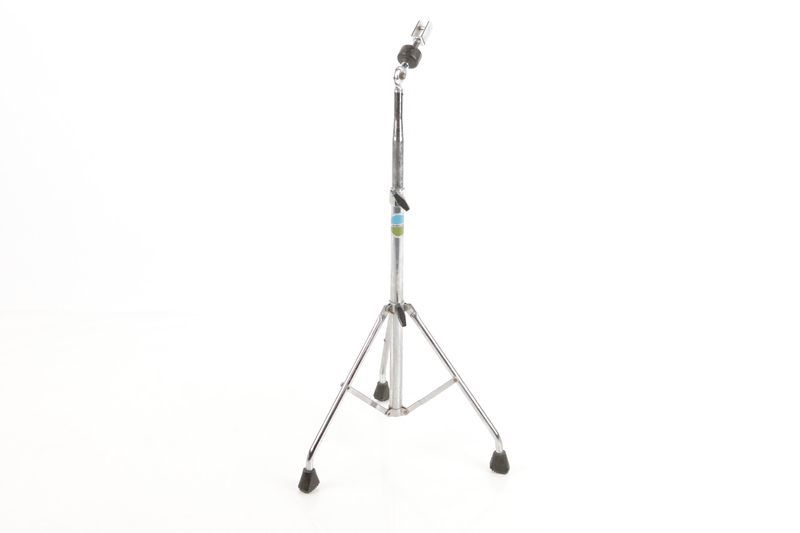 PHYSICAL CONDITION: Fair - Most of the drums (other than the 10" and 18" toms) do not have tension rods, a hoop, or a head on the back side. 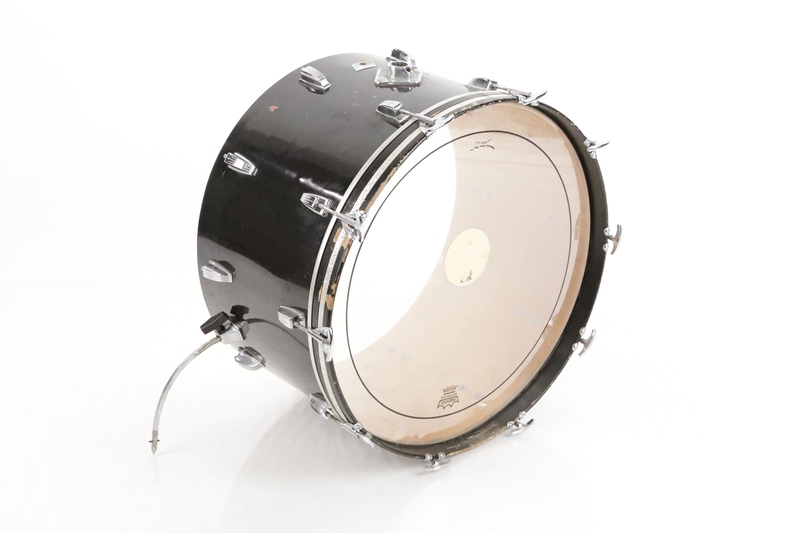 The 10" tom didn't come with a bottom hoop or lugs from the factory and the 18" has it's bottom hoop, tension rods, and head included. 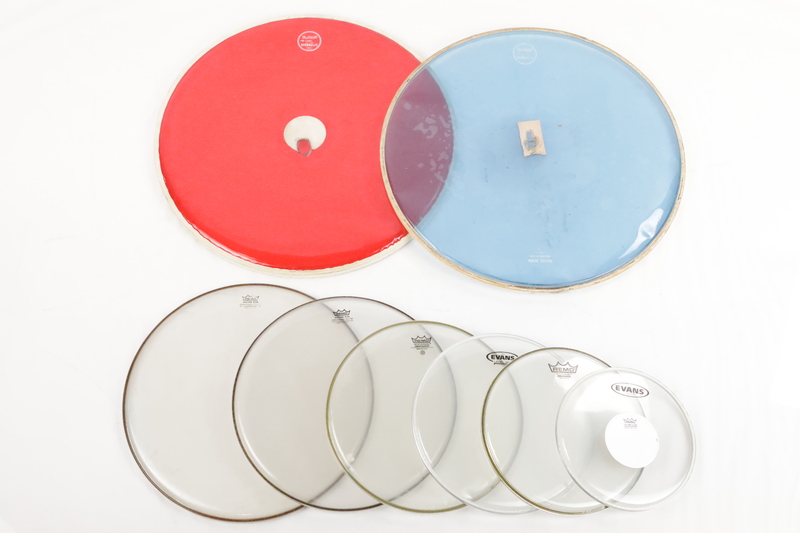 The heads are heavily worn down but we have included extra heads so you can swap them out as you tune up this kit. 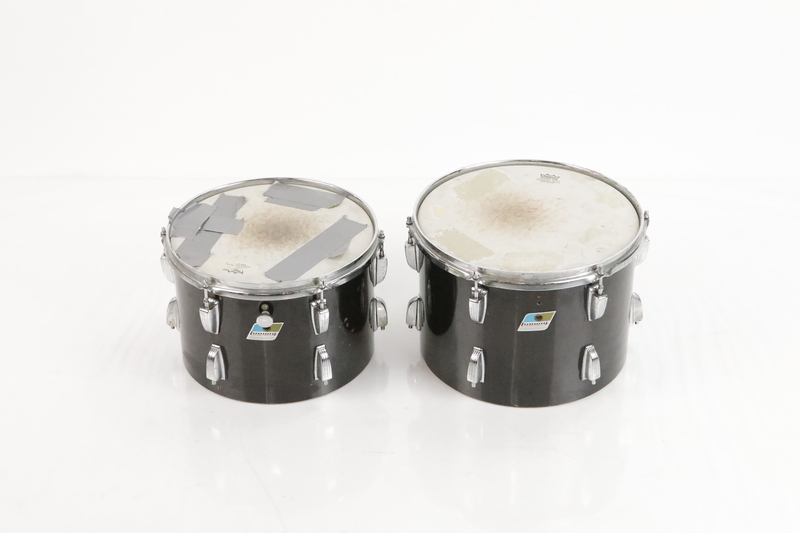 There is a lot of scratches, dings, and tape residue all over the drum shells. 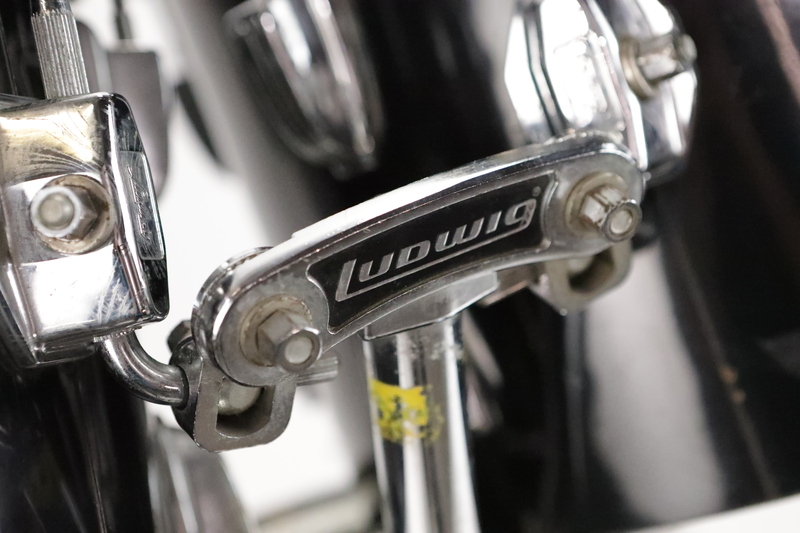 Most of the metal hardware has oxidation on it. 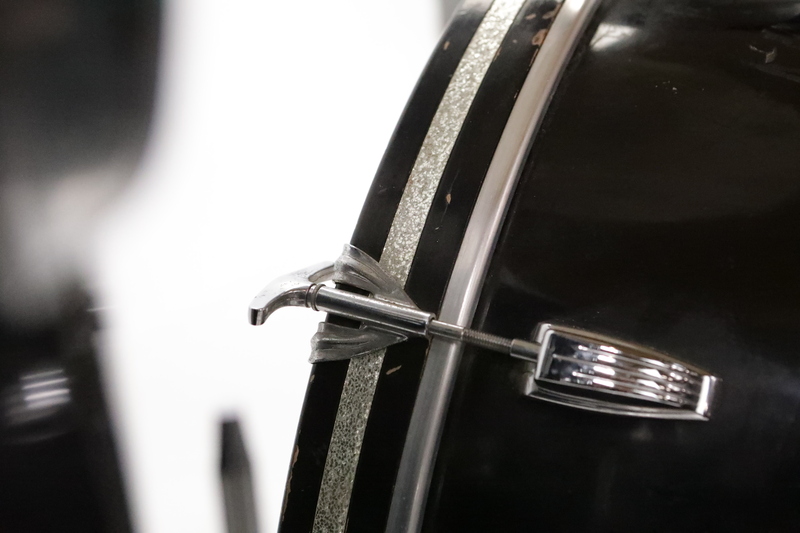 The tom holder is missing the screw at the bottom which screws it down into place on the bass drum. 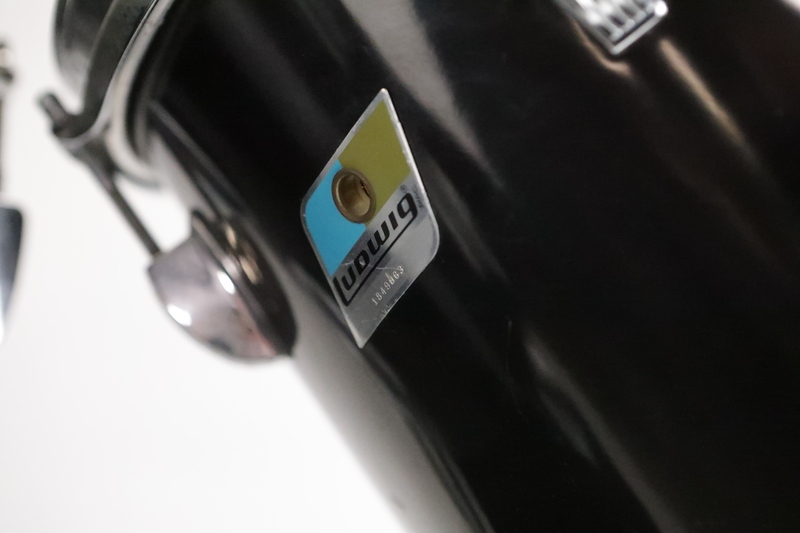 It mounts fine into the bass drum but is prone to wiggling around as that screw previously mentioned is missing. 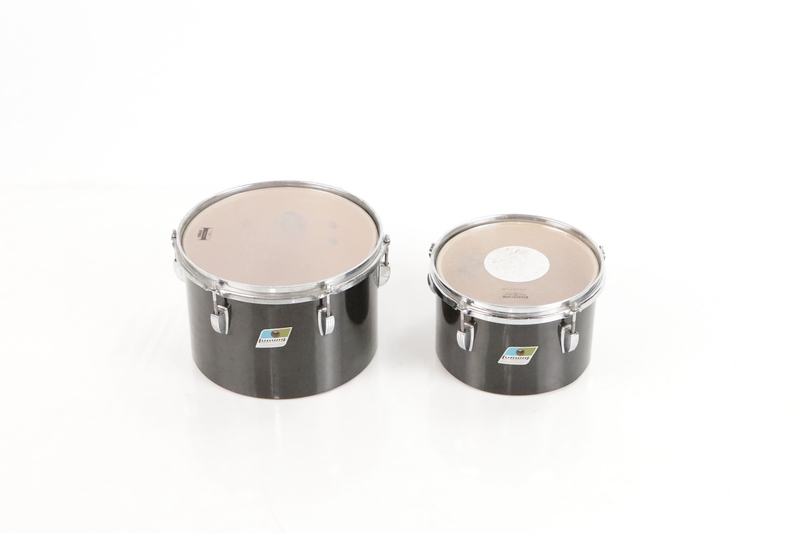 One of the floor tom legs is missing its black rubber foot. 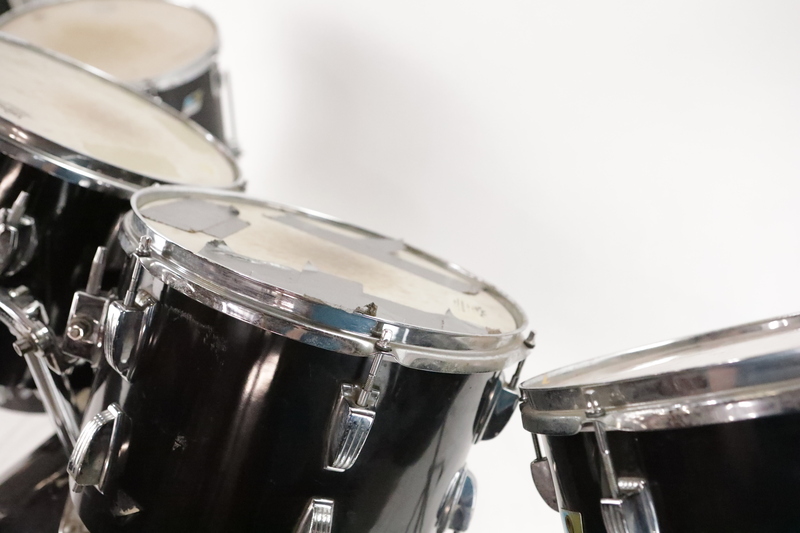 Many of the drum's bearing edges are in a bad shape on the bottom of the drums as they chipped or splitting in quite a few sections. 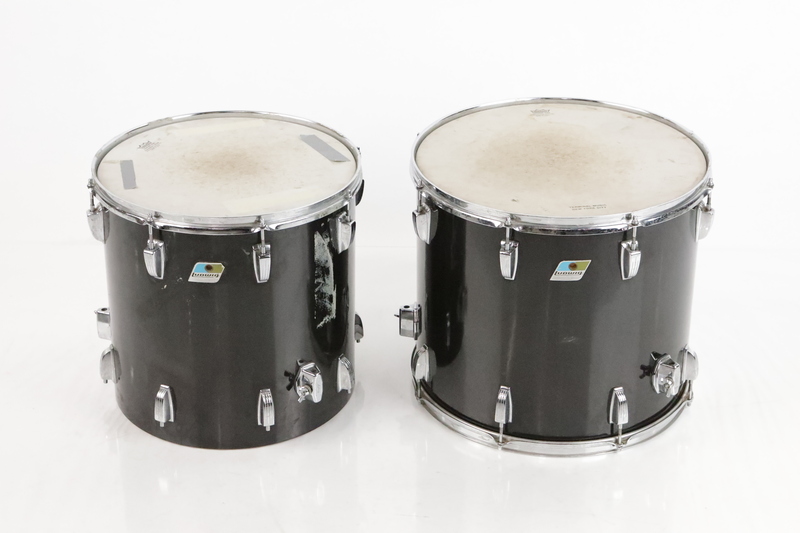 Overall, these drums are in fair physical condition considering their age. They will need a little bit of T.L.C. 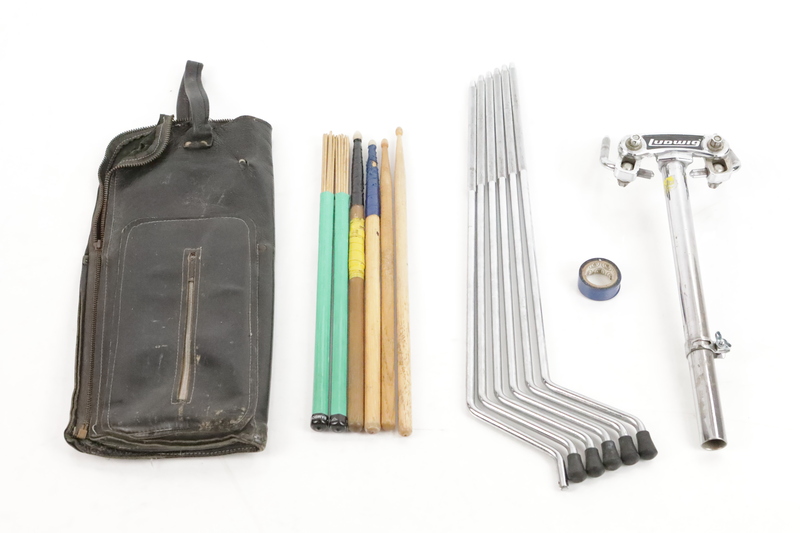 to get them back into gigging shape. 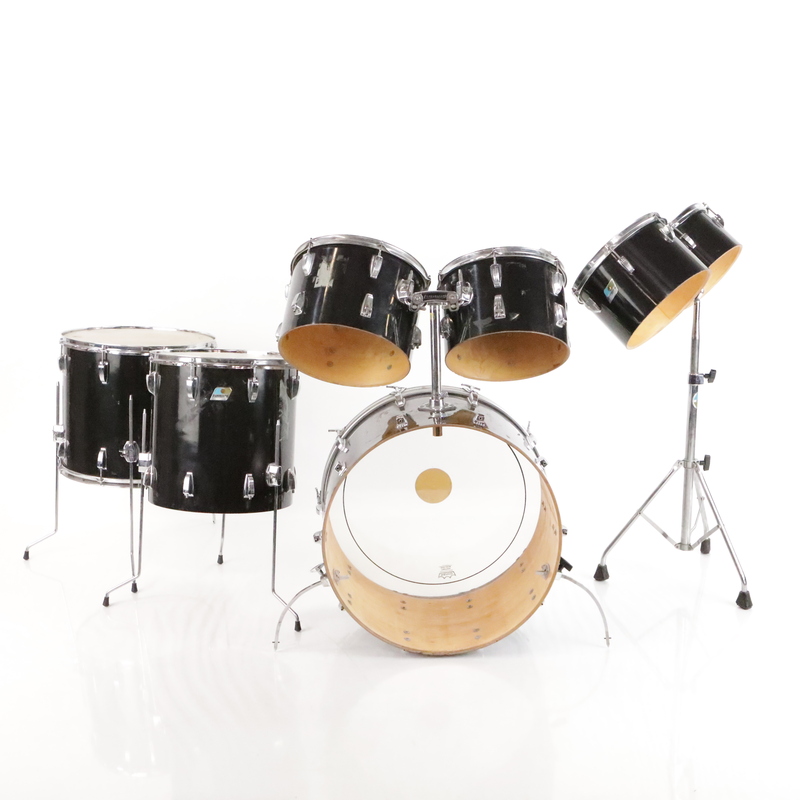 WORKING CONDITION: Fair - Each drum plays very well and sounds quite good. The hardware is a bit of an issue. 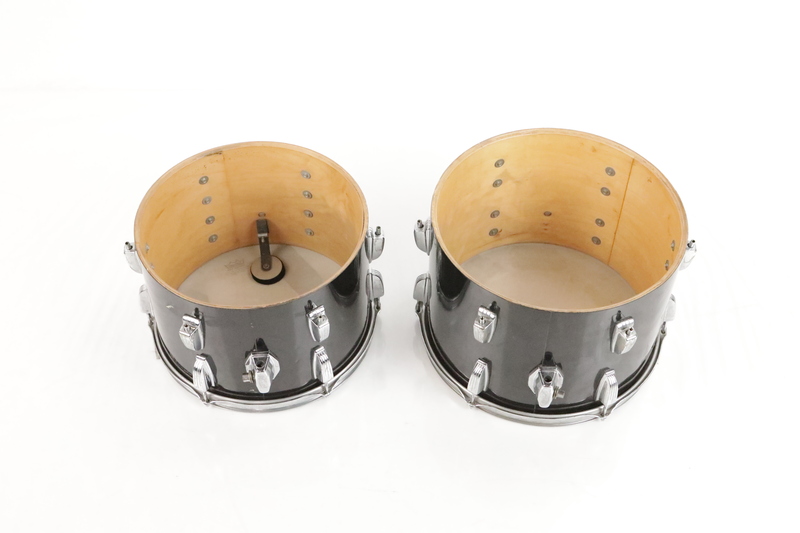 The toms with no resonant heads only have partial mounting brackets, those will need to be replaced. 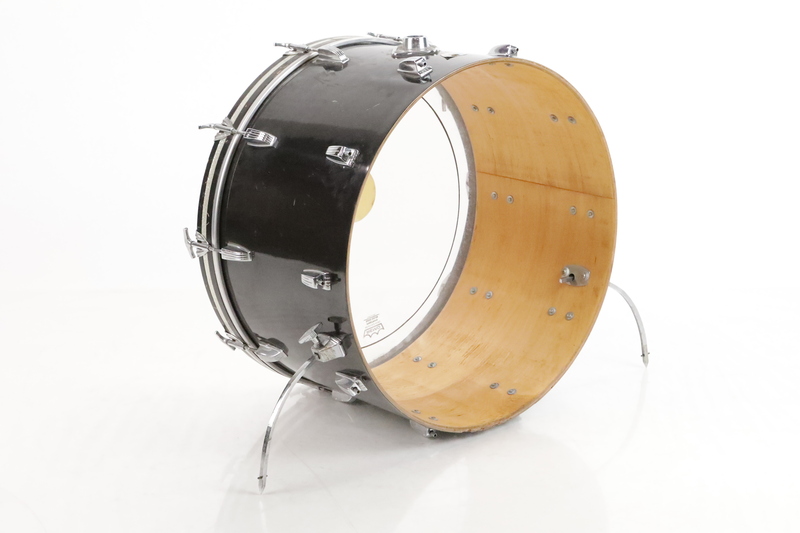 The tom mount on the kick drum is also unusable due to the hole being stripped and cannot tighten. 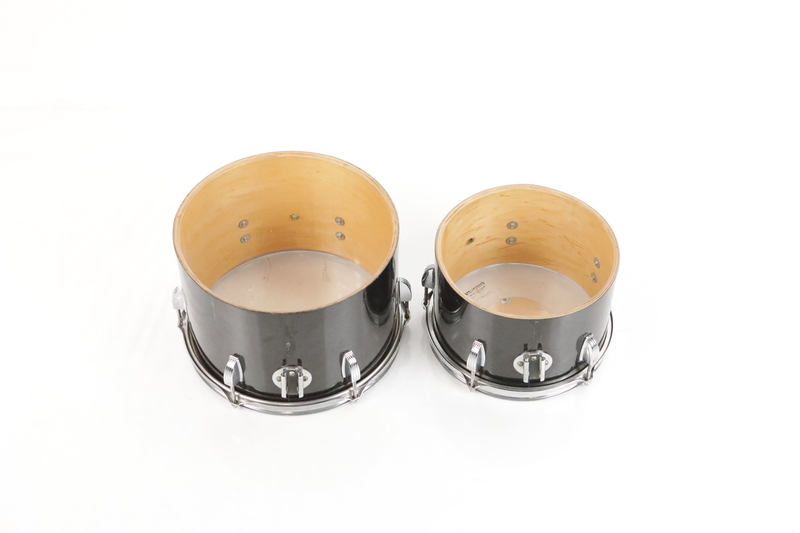 Also the bearing edges on some of the toms without bottom heads are chipped and considered damaged as resonant heads will no longer sit flush, if you choose to put them back on. Heads have taken a beating, but new heads have been included for you. Overall in fair working condition. Box 1: 16" x 16" x 16"
Box 2: 24" X 24" X 20"
SHIPPING: This item ships in multiple boxes.